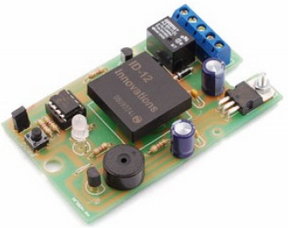 Based on the ID12 module of the ID Innovations, this transponder reader is equipped with a relay output which is activated when one of the 127 memorized RFID tags is recognized and allows to control an electric lock, a gate opener, a simple lamp, etc. . 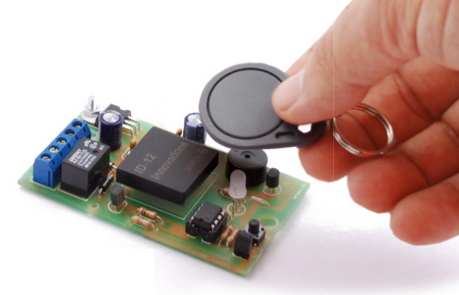 Possibility of memorizing up to 127 tags, monostable output (activation for 1 second) or bistable, buzzer signaling the passage of tags on the reader. SC-700 plastic container included in the kit. This kit is available from here. The documentation, in Italian language, is here.